MS Bioworks uses ThermoFisher Orbitrap platforms with nanoscale liquid chromatography systems for all projects. This is industry leading instrumentation employed by many academic thought-leaders. We currently have three Orbitrap Fusion Lumos and two Q Exactive instruments. Our Orbitrap Fusion Lumos Tribrid mass spectrometers are the industry-leading high-performance mass spectrometers. Our systems are equipped with HCD, CID and ETD fragmentation. Our Q Exactives are hybrid quadrupole-Orbitrap mass spectrometers combining a high-performance quadrupole mass filters with the industry leading high resolution sensitive and selective Orbitrap mass analyzer. This instrument is ideal for discovery proteomics, quantitative proteomics and PTM related work. Combining this instrumentation with sample processing workflows developed and optimized by our scientists over many years and high-end data processing technologies enables MS Bioworks to address the complex analytical problems arising from modern biological research. MS Bioworks operators are dedicated professional scientists who understand the importance of their client’s research and are accountable for uncompromising data quality delivered with high integrity and transparency. Identify, quantify and confirm with unmatched confidence using the Q Exactive mass spectrometer. MS Bioworks uses Mascot, Scaffold, MaxQuant, Perseus, Byonic and Skyline packages for data processing and review. MS Bioworks uses the Mascot database search engine to identify proteins from primary sequence databases. Mascot is developed and distributed by Matrix Science Ltd, to find out more about how Mascot enables the confident identification of peptides and proteins from complex LC-MS/MS datasets visit the Matrix Science homepage here. MS Bioworks uses the Scaffold data processing software to visualize and mine database search results. Our clients can view their data using the free Scaffold viewer appropriate for their operating system. Scaffold is developed and distributed by Proteome Software, for more information about Scaffold and the option to download the free data viewer visit the Proteome Software website here. MS Bioworks is using Protein Metrics Byonic software to expand our glycoproteomics and PTM identification and localization workflows. For more information on Byonic and their new approach to database searching for the identification of modified peptides and proteins visit the Protein Metrics website. MaxQuant and Perseus are quantitative proteomics tools for analyzing large scale mass spectrometric data sets. 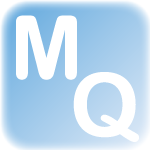 MaxQuant with the Andromeda search engine enables protein identification and quantitation. 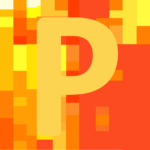 Perseus enables statistical analysis of the MaxQuant output. You can find out more about MaxQuant here.